The current U.S. dietary recommendations emphasize the need for Americans to significantly reduce sodium in their diets. According to the Centers for Disease Control and Prevention (CDC), 90 percent of all Americans eat too much sodium in their daily diets. 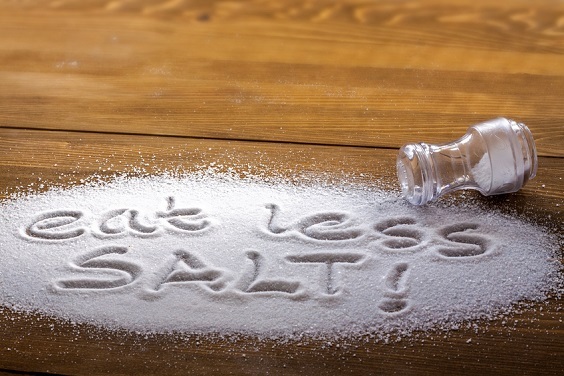 But for those of us who love salty foods and are used to grabbing the salt shaker the minute dinner is served, how do we lower our sodium intake without sacrificing taste? A recent research study on monosodium glutamate (MSG) and its effect on palatability is enlightening. The results are pretty tasty if we say so ourselves. While we’ve addressed MSG and taste in several of our blogs here at MSGdish, this research offers further proof of how important MSG can be to enhance the flavor of food (in this case, spicy soups). After reviewing this scientific study, we’d like to share the following highlights (some of which are direct quotes from the study discussion). Keep in mind that the research study was much more complicated than these few points might suggest. If interested, you can read the full study here. The bottom line? Researchers determined that a 32.5% reduction in sodium level was made feasible by adding 0.7% MSG to the spicy soups. Compared with the FDA standard for a “reduced-sodium” product (i.e., at least 25% less sodium than the original product), the optimized soups in this study would be deemed acceptable in meeting this standard. What’s Love (of Sodium) Got To Do With It? Next PostScientists Have Known MSG Is Safe for Decades. Why Don’t Most Americans?